Chicken Soup: BLOG LOVIN Fever and Calendar Linky! First of all, have you all caught that BLOGLOVIN Fever yet?! I signed up last week, and I'm SO glad I did. I'm now more addicted than ever, and I thought I would link up to get more followers. In the next couple of weeks, I definitely plan to finally edit and post some freebies. I made TONS of stuff throughout the year last school year and never found the time to post! However, that should change next year! So go ahead and follow me on Bloglovin (click the blue button over in the right corner), and leave me a comment so I can make sure I follow you too! 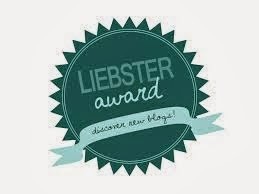 ;) And I will TRY my best to be a better blogger.... well, after the big day that is. (We get MARRIED in 25 days!!!!! EEEE!) If you're not on bloglovin' yet, click the picture blow to see Tori's post about how to sign up. She makes it SUPER simple, and trust me, it's worth your 5 minutes! 3. Leave her a comment with your name and email address, notifying her that you are a follower. 4. Cross your fingers and wait to be contacted. She will choose *ONE LUCKY WINNER* per day. I hope I win! I just want the back to school activity packet! 5. She also gave strict instructions to browse around the other bloggers that have linked up. 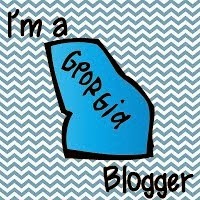 It's good to make new friends and meet new bloggers! 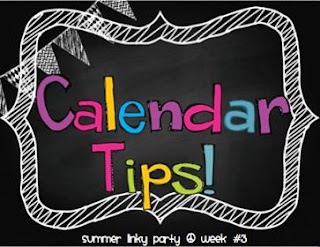 Secondly, I'm linking up with Sharing Kindergarten for the Calendar Time Linky Party! I did a post at the beginning of last year about my calendar routine. I really enjoyed my calendar time, and I changed it up a few times throughout the year, but it was pretty basic. I kept it straight and simple to help the kids learn the routine. I SWEAR (no joke) by the end of the year, the kids were leading the entire routine by themselves while I snuck over to my desk for a bite of granola bar, or to eat my banana, or check emails, etc. (hehe) I'm bad, I know, but I was building independence, OKAY?! So here's the link for that post: Click Here! When you get there, you will need to scroll about half-way down to get to the calendar part, because I did a dual-post that day with some of my behavior management freebies. But please go check it out and give me feedback!